Some of the earliest and rarest materials printed in British North America were not printed in English. 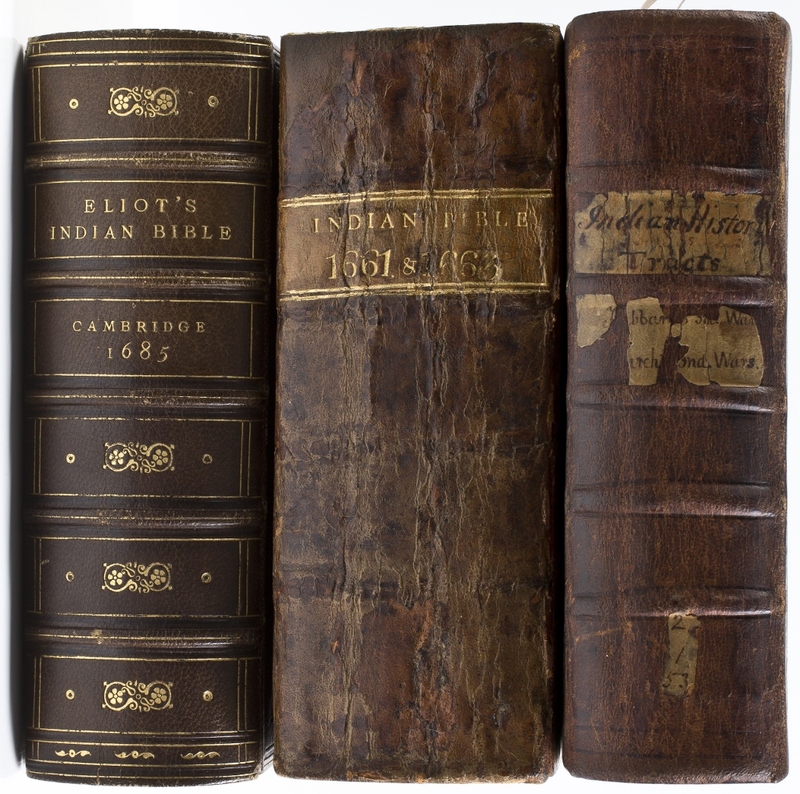 Instead, these books, pamphlets, and broadsides were printed in the various dialects of Algonquian, the language of the Native Americans who populated the American Northeast. Beginning in 1643, English colonists such as John Eliot, Roger Williams, and Thomas and Experience Mayhew endeavored to capture the spoken language of the New England natives in print. Many of these colonists saw this work as integral to the Christianization of the New World, but they did not do this work all on their own. They needed help from local Nipmuc, Narragansett, Wampanoag, and Massachuset Indians to start to piece together the sounds and structure of this “foreign” language, as well as to reproduce it in print. This exhibition explores the contributions of those who labored in translating and printing works in the Algonquian family of native languages. The people, organizations, and publications presented here offer an opportunity to reexamine the historical narrative surrounding the creation of the few surviving seventeenth-century documents that capture the language of an entire cultural group. Current language reclamation projects illuminate the importance of these translations and of the English and Algonquian people who worked together to produce them.